Want to eat like a nutrition expert? Some food choices pack an especially big nutritional punch. As we start a brand new year, think of your kitchen as one big tasty medicine cabinet. The right foods in the right amounts can protect your heart, keep your blood sugar stable, help you lose weight and allow you to live longer. Diet makes such a big difference because it’s related to many diseases, said Teresa Fung, an adjunct professor of nutrition at the Harvard T.H. Chan School of Public Health and a professor of nutrition at Simmons College in Boston. “Diet has its influence on so many health-related factors all throughout the life cycle — all the way from infancy to elderly years — in almost every system across the body,” Fung told TODAY. The American diet is slowly getting better, with people eating a little more fiber, drinking a little less soda and consuming a little less salt, she said. Still, there’s a long way to go. Processed foods — those made outside the home that come in a box, often with a lot of added sugar and salt — are among the biggest culprits, she finds. High in fiber and protein, and packed with healthy fats, nuts are “wonderful,” Fung said. They’re also a very convenient, portable snack since they’re dry and don’t require refrigeration. 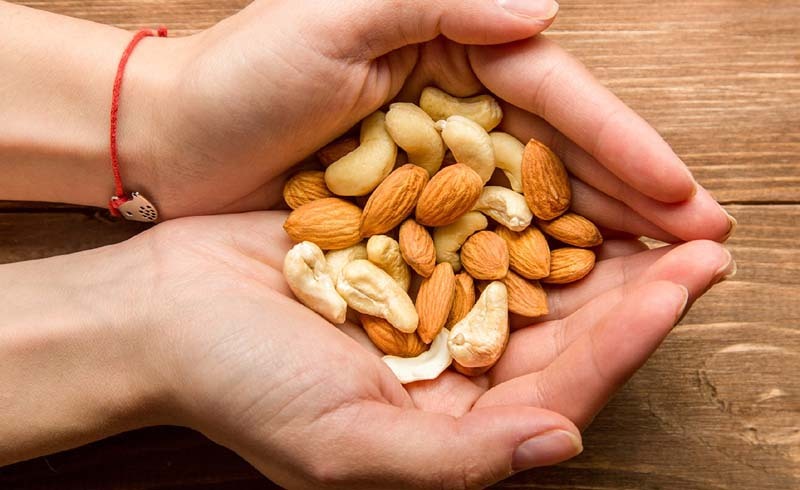 One recent study found people who regularly ate nuts had a 14 percent lower risk of developing cardiovascular disease, compared to those who rarely or never consumed them. Nuts are also often found in the diets of people who live very long lives. Any type of nut is good and a variety of them is even better because their fat profile is different, so they have different good things to offer, Fung said. Go for a handful a day, but opt for the unsalted nuts since most people’s diets already include lots of sodium. Salmon is an especially good protein because it contains heart-healthy omega-3 fats, Fung said. She advised eating a salmon fillet as a meal, rather than smoked salmon as a snack because the smoked variety has more salt, plus “not so good” compounds created during the smoking process, she said. People also tend to put smoked salmon on crackers or on a bagel with cream cheese, adding refined grains and saturated fat. The American Heart Association recommends two servings of fish a week, preferably fatty fish like salmon. Other good options include mackerel, herring, lake trout, sardines and albacore tuna. “Berries are very high in antioxidants, so that’s wonderful,” Fung said. Blueberries contain the highest amounts, but raspberries, blackberries and strawberries are also good options. One note of caution: If you like strawberries, wash them very well or buy the organic variety because they are particularly prone to have pesticide residues, Fung advised. Buy fresh berries when they are in season, and go for the frozen kind when they are not. Aim to eat half a cup of berries a day. Any whole fruit is better than no fruit, so if you don’t like berries, that doesn’t mean that the other fruits are useless, she added. In general, go for darker fruit — like pomegranate — because the deep color signals high antioxidant content, Fung said. Low-fat, plain yogurt is a healthy protein without the saturated fats, Fung said. It doesn't spike up blood sugar levels and contains probiotics — microorganisms that promote the good bacteria in the digestive system. Just make sure it’s plain and not flavored so there’s no added sugar. Skip the full fat yogurt. You can add chopped nuts or berries to it yourself and have three items on this list covered in one go, Fung noted. Yogurt can help you feel full because of its protein content. If you can handle the lactose, go for one cup a day, she suggested. These include collards, kale, spinach, bok choy, mustard greens and Brussels sprouts — all of which “have a wonderful antioxidant profile,” Fung said. Go for half a cup cooked or one cup raw of these veggies a day. Use as little water as possible to cook them because some nutrients will leak out. For Brussels sprouts, try roasting: “It’s really tasty and you don’t have to use water for it,” she noted. If you prefer eating a salad, use a lettuce that has a lot of color — like red leaf lettuce — rather than iceberg lettuce, which is mainly water. This grain is impressive for its high-fiber, high-protein content, Fung said. Go for half a cup to one cup cooked of quinoa. Eat it like rice — it’s a good base for a bowl topped with vegetables and sauces. Much less processed than quick oats and containing no added sugar, this option offers lots of soluble fiber. “It really keeps people full — it has good fiber and it does not spike people’s glucose too much,” Fung noted. Members of an Irish clan who hold the Guinness World Record for oldest family credit oatmeal for their longevity. It’s all about the antioxidants. 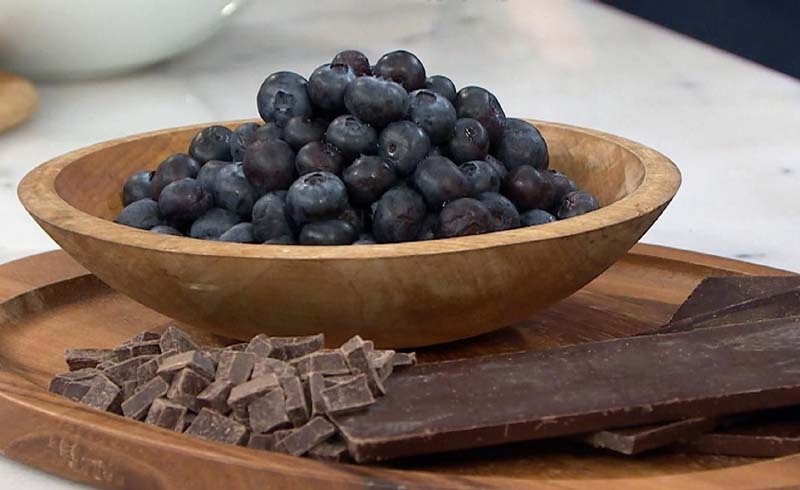 “If people want a little fun food that’s still good, I would say a small amount of dark chocolate,” Fung said. That means one little square a day. Look for chocolate that has about 70 percent cacao content. One note of caution: Dark chocolate may keep you awake because it has a compound that has the same effect as caffeine, Fung said.